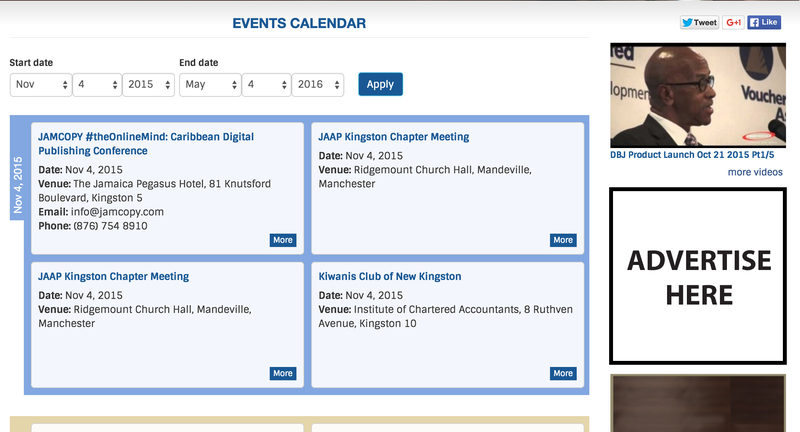 Business Events Ja attracts visitors from all walks of life, but mostly business professionals. This site is the perfect place to build your online presence and expand your brand with this target group. 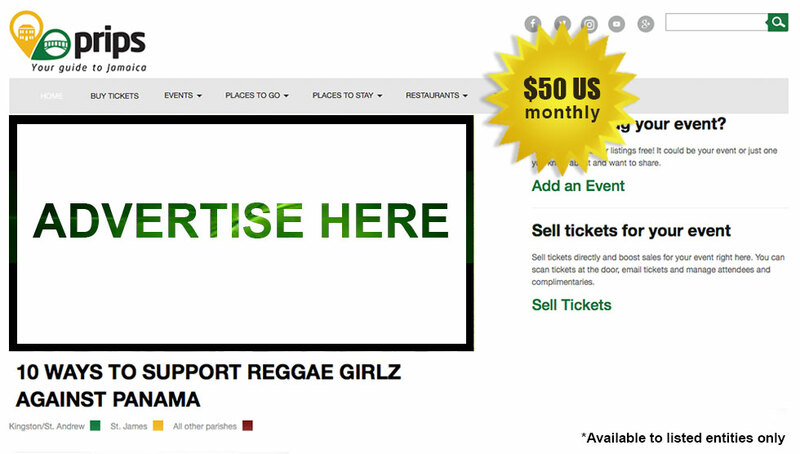 All prices are quoted in Jamaican dollars and represent the charge to place banner ads for one month. Adobe Flash and other animation software are supported and will take up to 24 hours to be loaded. Advertise on any three of our client driven websites and get a 15% discount. 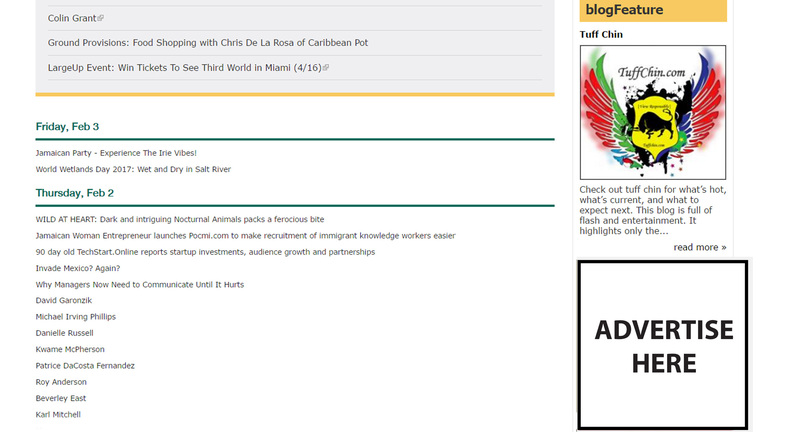 Blog Jamaica is a planet for all blogs about this island and its Diaspora. 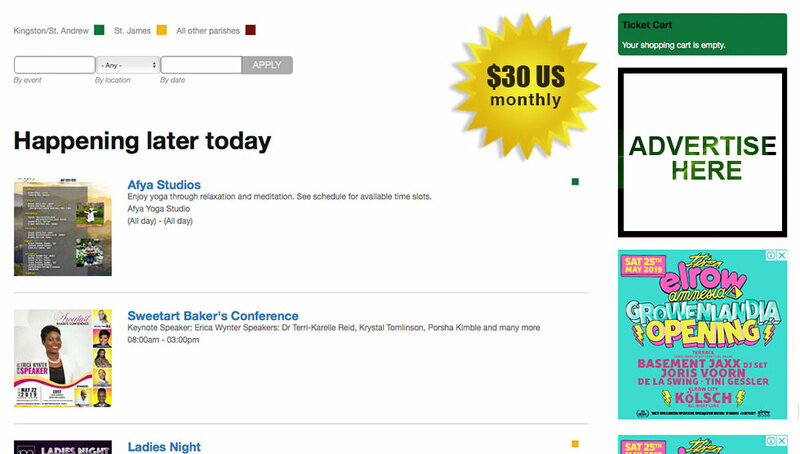 Expand your brand with strategic positioning banner ads on this site. 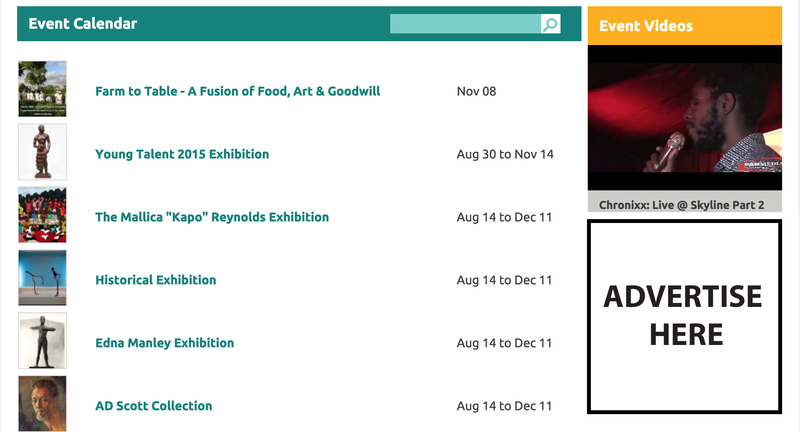 Art Events Ja is a website dedicated to promoting Art in Jamaica and providing a cohesive directory of current art events, local artists, galleries and showrooms.